Audi, BMW, Mercedes-Benz, Opel and Volkswagen: those are perfect German cars, which might not be loved, but recognized and respected by everyone. However, the people, known for their meticulous precision, once produced cars, which were bought only because there was no other choice. We mean Trabant. 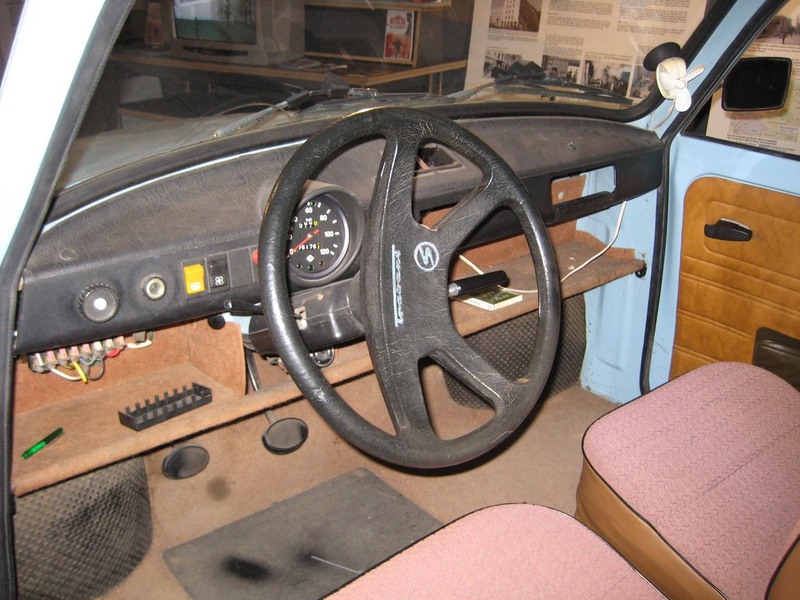 The car, produced by VEB Sachsenring Automobilwerke Zwickau, used to be the pride of East Germany. 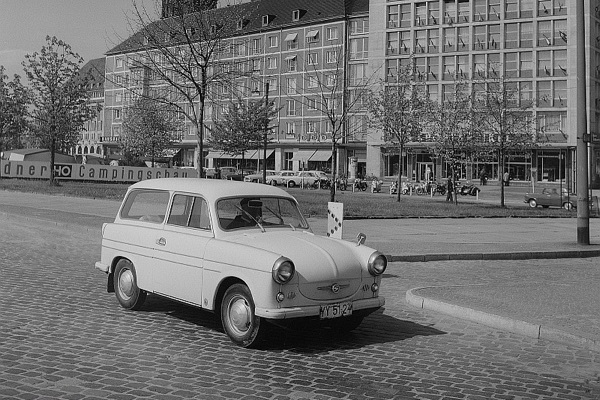 In the land, de facto ruled by the Soviet Union, Trabant used to be the leader of motor manufacturing industry. The numbers speak for themselves: more than 3 million cars were produced in 30 years. 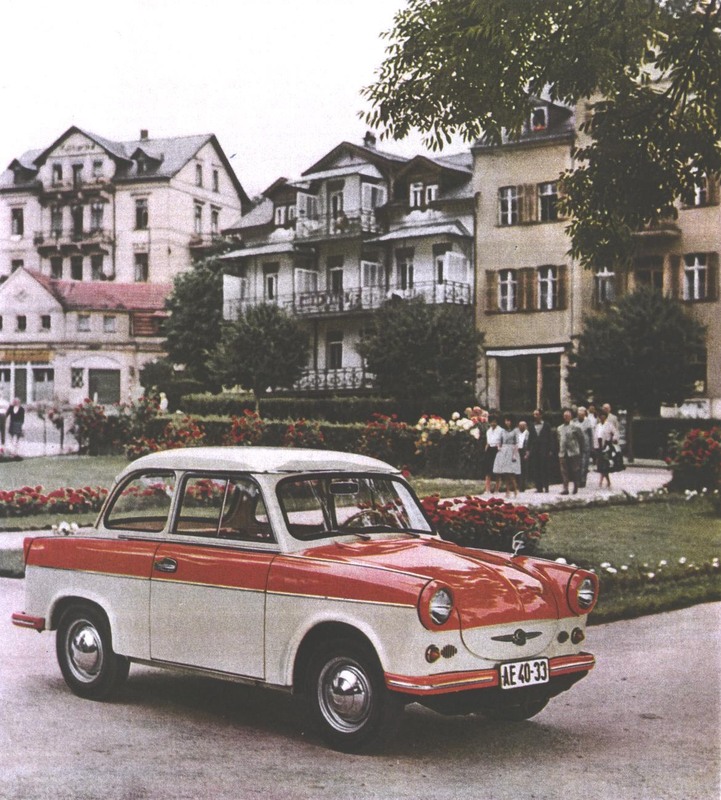 On the Eastern European market, filled with Czech Tatras and Soviet VAZ, Moskvich and similar average quality cars, Trabant was exceptional: it had a front-wheel drive, hard plastic body, mounted to a single-piece steel chassis and independent suspension. 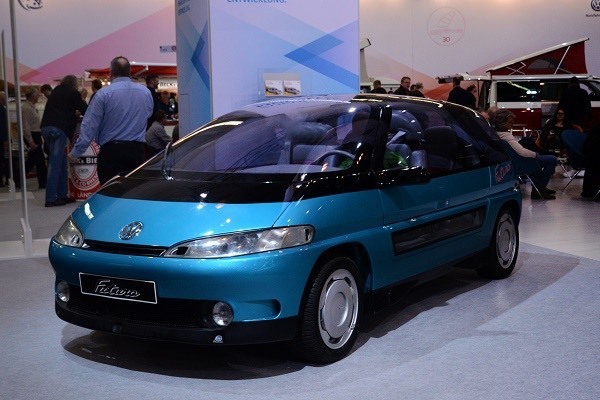 However, its two-stroke engine was not exceptional even in the Eastern Europe, which was lagging behind the West, where more powerful and environment friendly four-stroke engines dominated by the end of the fifties. 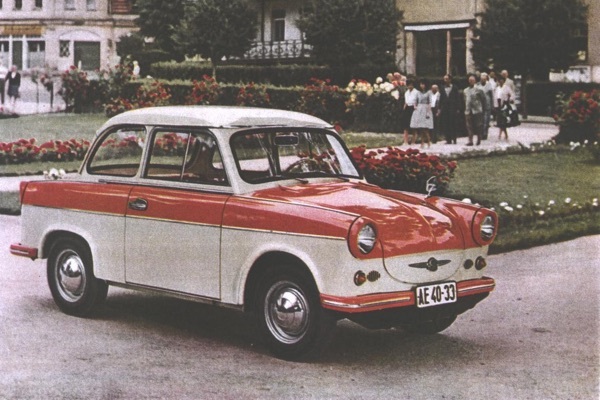 Although Trabant had originally been designed as a three-wheel motorcycle, the planning process was changed and, in November 1957 the first Trabant car was produced. 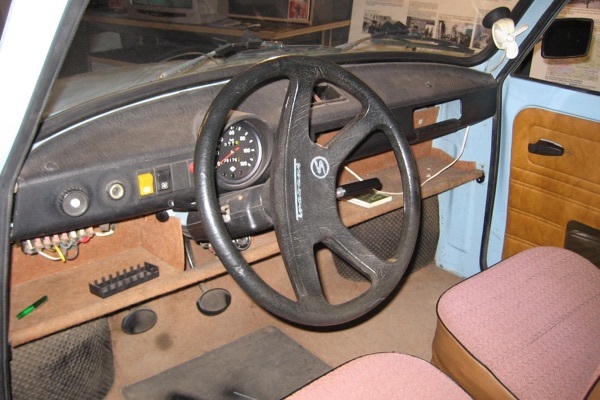 The vehicle was technically identical to West Germany’s Lloyd. 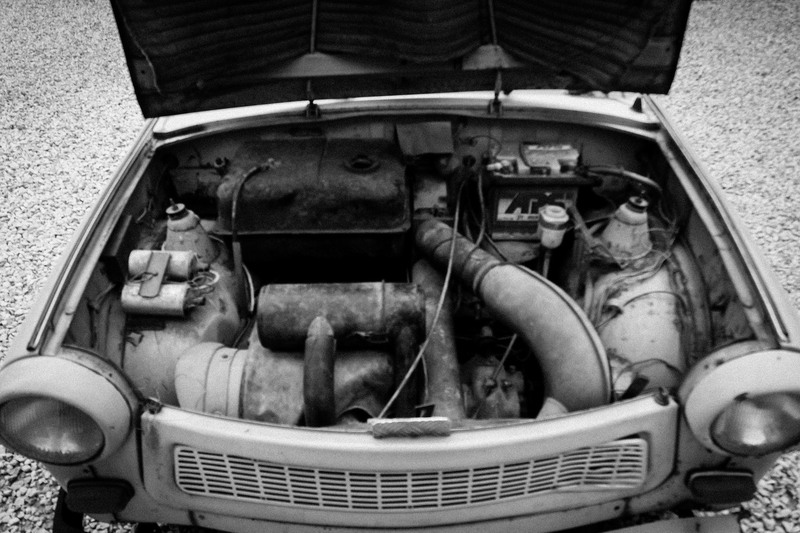 The only difference was the engine (Trabant’s two-stroke vs. Lloyd’s four-stroke). 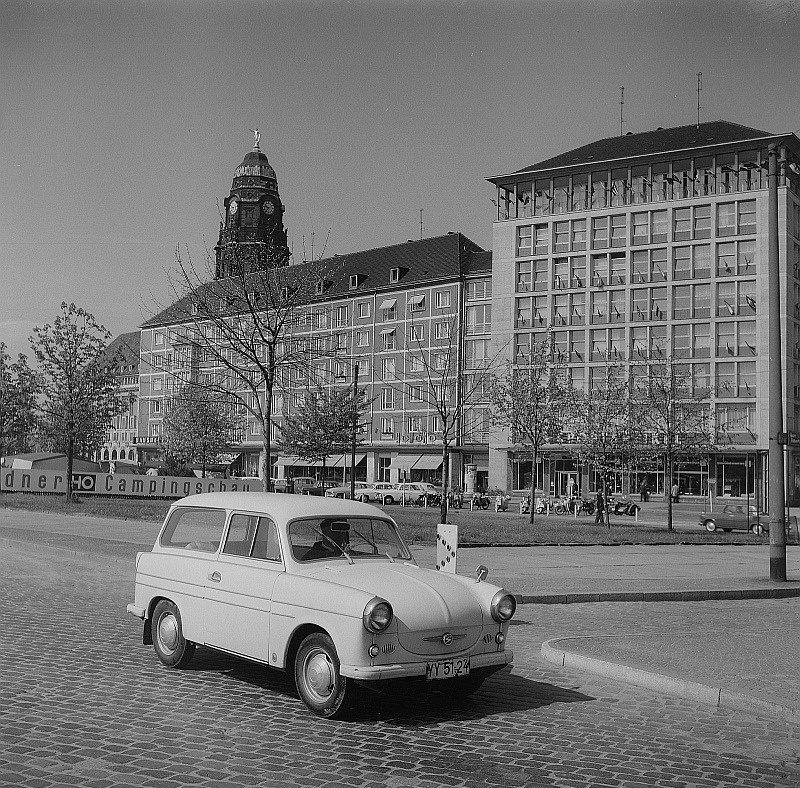 Due to its high fuel consumption and pollution level, Trabant was not exported to the Western Europe. 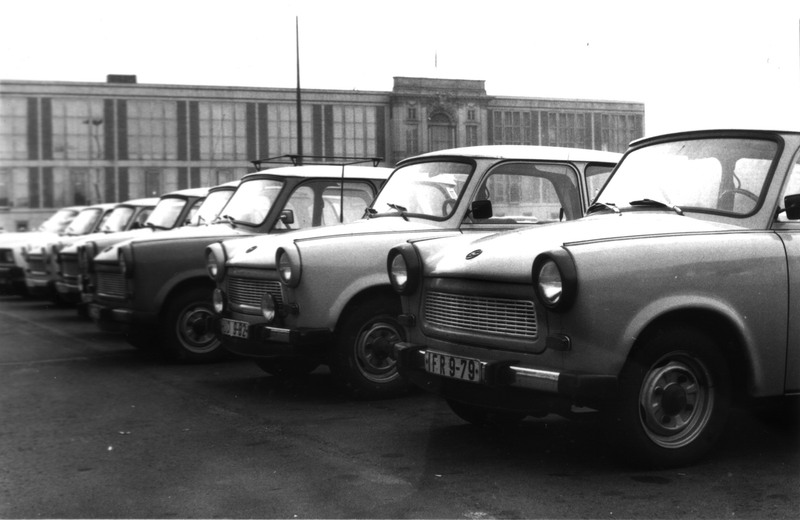 Trabant, or Trabi, was equipped with 18-23 AG engines, the displacement of which was similar to a modern motorcycle: 500 (1957-1962) and 600 cm3 (1962-1989). 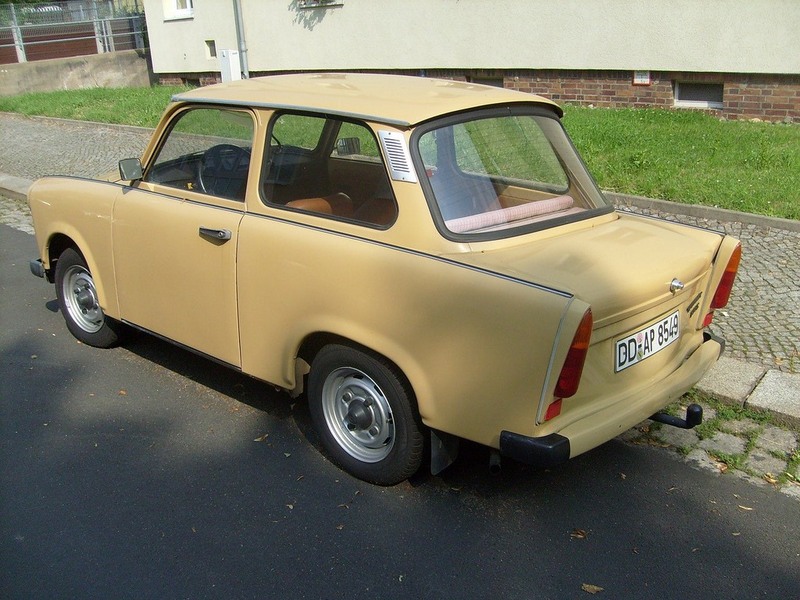 In 1989 Trabant received a facelift – new brake and signal lights and some body details. However, the most important modification hid under the hood, where one could find an engine from the modern Volkswagen Polo, which replaced the old two-stroke engine. 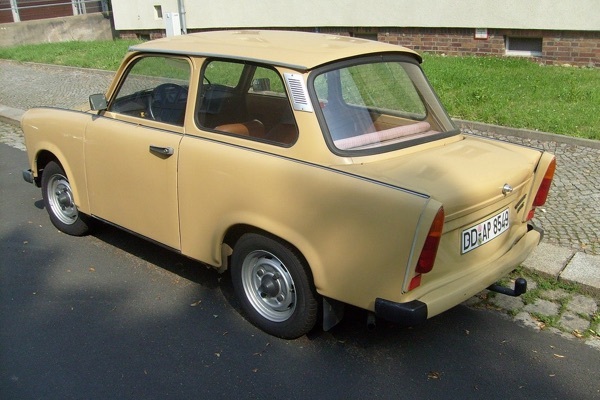 Shortly after Germany’s reunification, the conclusion was made that Trabant has no future in the Western world. Even the former Eastern Germany’s residents chose second-hand Western cars over the new Trabant, since the former were more modern, reliable, cost-efficient and environment friendly while the Trabant underwent few changes since its inception thirty years before. 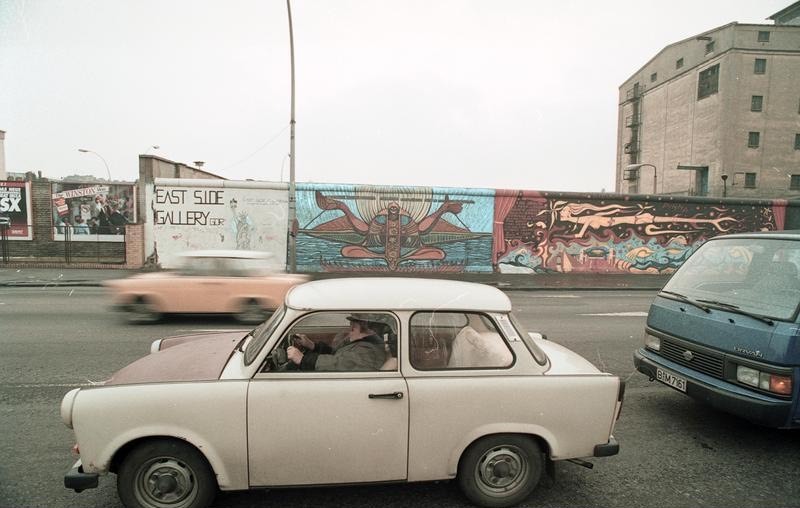 Thus, Trabant’s history ended in 1991, after producing 3.7 million cars. Ironically, after the end of Trabant, the plant in Zwickau was sold to Volkswagen AG, which also owns the Audi brand. 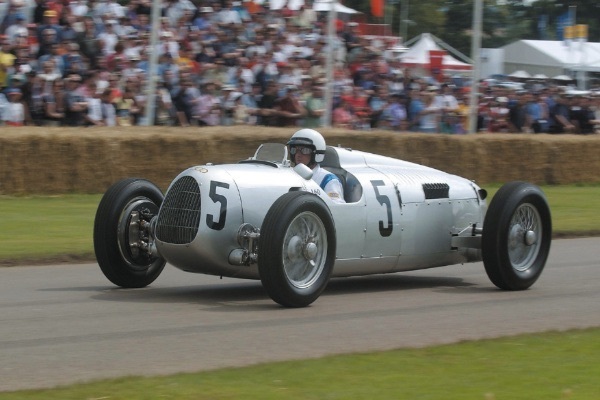 Audi (which was known as Auto Union at the time) had been the owner of the Zwickau plant however after the WWII its owners escaped to the West, where they settled in Ingolstadt – the city, now considered the home of Audi. At present the former Trabant plant in Zwickau is substantially modernised and used for production of engines for the Volkswagen AG Group and some VW Golf and Passat cars. 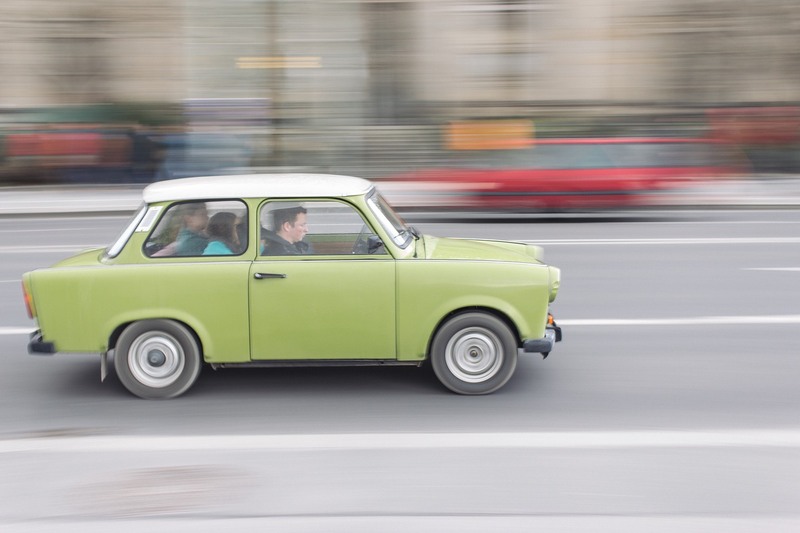 Today Trabants are among the cheapest models of their class. However, their supply is reducing, while the price is getting higher. Naturally, only old Trabants in good condition are valuable. 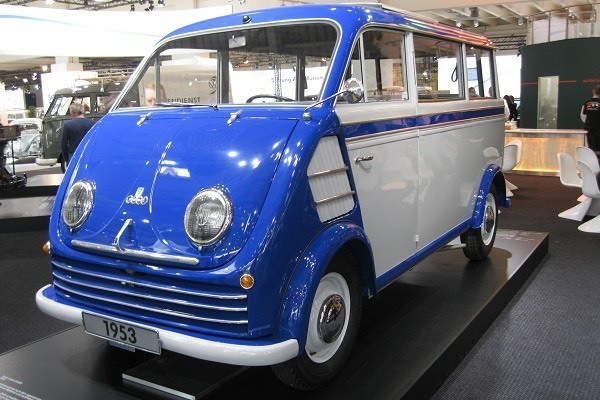 The price of cars, which have been used for a long time and which have not been restored, reaches only several hundred euros, but the ones manufactured in the fifties or sixties are especially valued. Trabant racing is popular in Germany, while in the US Trabant owners arrange their fan club meetings, in which hundreds of people, owning those precious East German artefacts participate. The largest meeting is held in early November on the occasion of anniversary of the fall of the Berlin Wall. After the German reunification it was speculated that Trabant might eventually become a symbol, such as Volkswagen Type 2 or Kaefer, however after three decades it became obvious that the people of East Europe no longer hold any sentiments to any forms of Communism and related vehicles, while in other parts of the world Trabant became an ordinary remnant of the lag in technological advancement, such as Lada or Yugo. 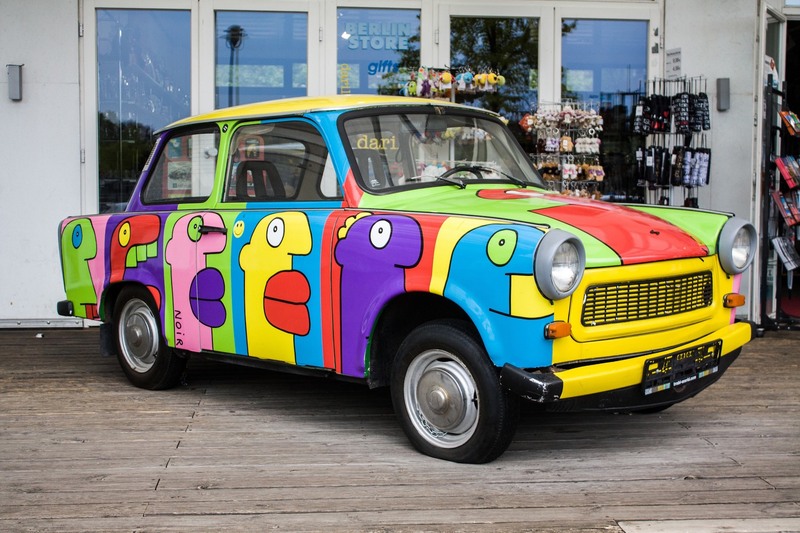 Although during the last decade there have been some announcements on the revival of Trabant’s market and several “new Trabi“ concepts were introduced, Trabant still remains one of those no-future symbols of the former East Germany.